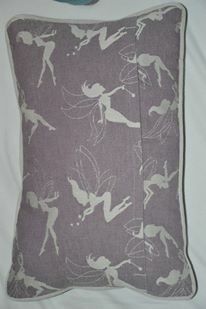 Wrap scrap cushions made from gorgeous 100% cotton Faeries and Unicorns. 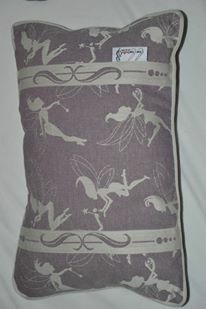 Faeries and unicorns wraps are woven in Australia, and the cushions are handmade locally. Perfect for little hands and lovely to snuggle. Measure 29cm by 44cm. Insert included.